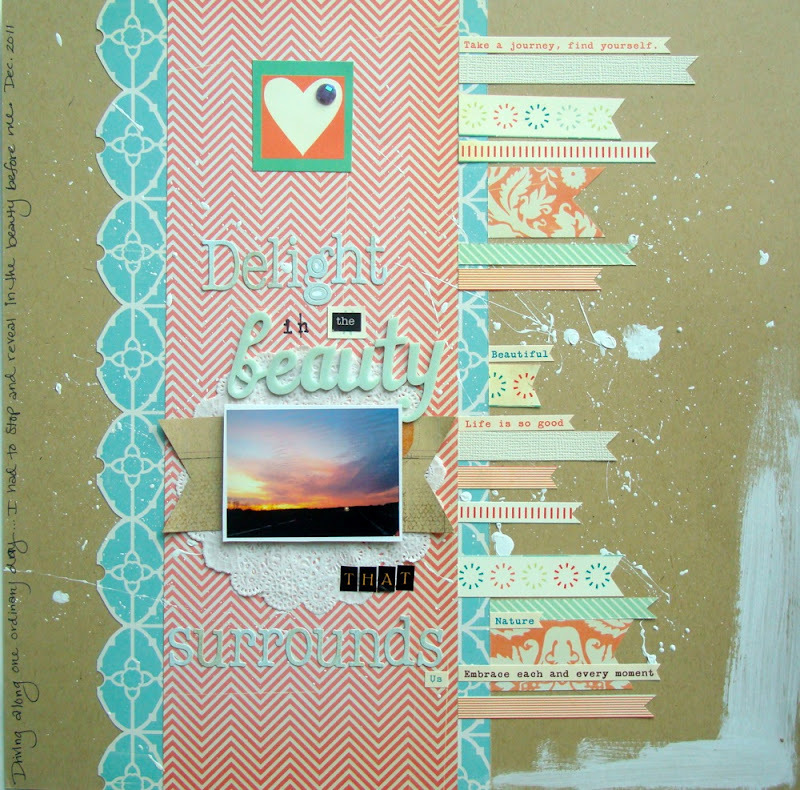 This months Scrapbooking from the Inside Out kit is titled "Grace". The colors in this kit are dreamy and sweet. 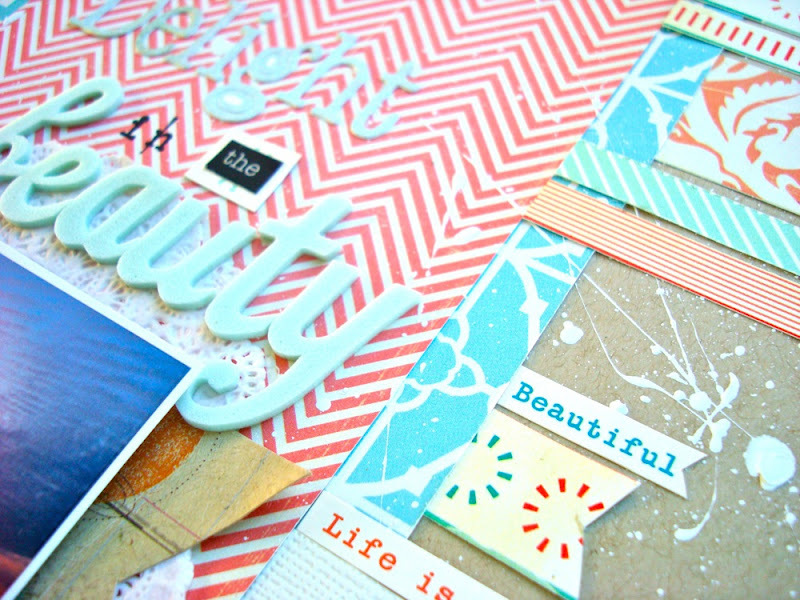 I wanted to share another of my layouts from this month. I created this page from the photo of a sunset that I took from my car on my drive home from work one day. It took my breath away when I turned onto a street near my house that runs between two fields. The view was stunning! It reminds me that there is so much beauty around us and in that beauty is a higher power's hand. Whatever you believe, I truly think that there is something bigger than us that helps us to recognize the wonder in the world. Gesso splattered and brushed onto the kraft cardstock. I used scraps to create banner pieces that I staggered in length and thickness. The word strips were also cut into ribbons and added in. I loved the different letter styles that are included in the kit and wanted to create my title with a mix of them for interest. 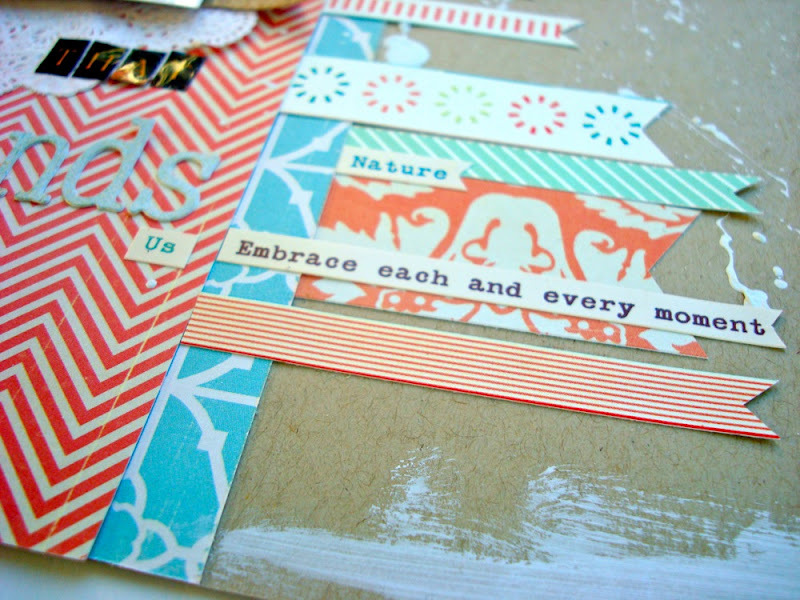 The combination of the patterns and colors really inspired me! I hope you love this kit as much as I do. 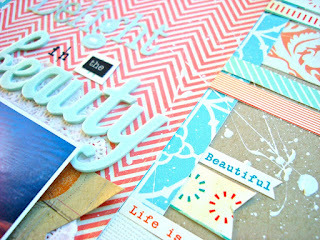 Love the scapbook layouts and the cards!